The First Day of Summer (Sumardagurinn fyrsti) is a public holiday in Iceland celebrated on the first Thursday after April 18. It might seem strange that the Icelanders celebrate the coming of summer in late April, when the weather in Iceland is typically not summer-like at all. The choice of the date is explained by the fact that it is a vestige of the traditional Icelandic calendar. In the 10th century, the Icelanders began to use the old Icelandic calendar, which divided the year into only two seasons, summer and winter, with summer beginning in mid-April. Although this calendar has not been in official use for a long time, some annual feasts and holidays, including the first day of summer, are still calculated from it. The first day of summer was officially declared a public holiday and non-working day in 1921. 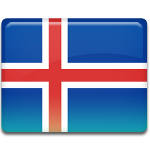 It is one of the official flag days in Iceland. The holiday is typically celebrated with parades, sporing events and other entertaining activities held throughout the country. Some people exchange gifts on the occasion. Originally, these gifts even more significant than Christmas presents. In modern Iceland, however, parents buy their children small gifts, and that's it.